Hi all! Heather back with a fun layout using some absolutely adorable Imaginisce product. 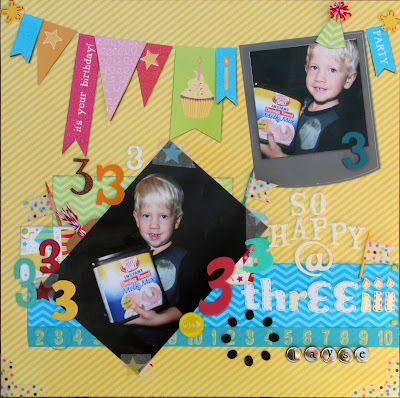 I simply adore this line, so fun for childhood layouts and I had the perfect photo of my daring nephew, Liam, to go with it! Pulling this layout together was so easy thanks to all the cute coordinating stickers- and there were even some fun stamps to use! I loved the sentiments in these banner stickers, they went with my photo so perfectly. I like using coordinating journal cards to double for my titles sometimes. 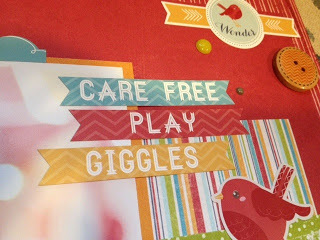 It makes pulling a layout together so much faster and easier, and sometimes the sentiment is just what I had in mind! 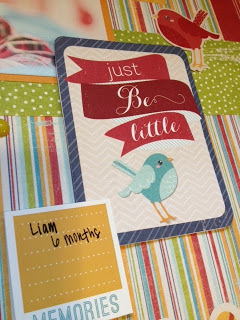 I love this one: Just Be Little. I also loved this banner sentiment- Cherish the Little Things. 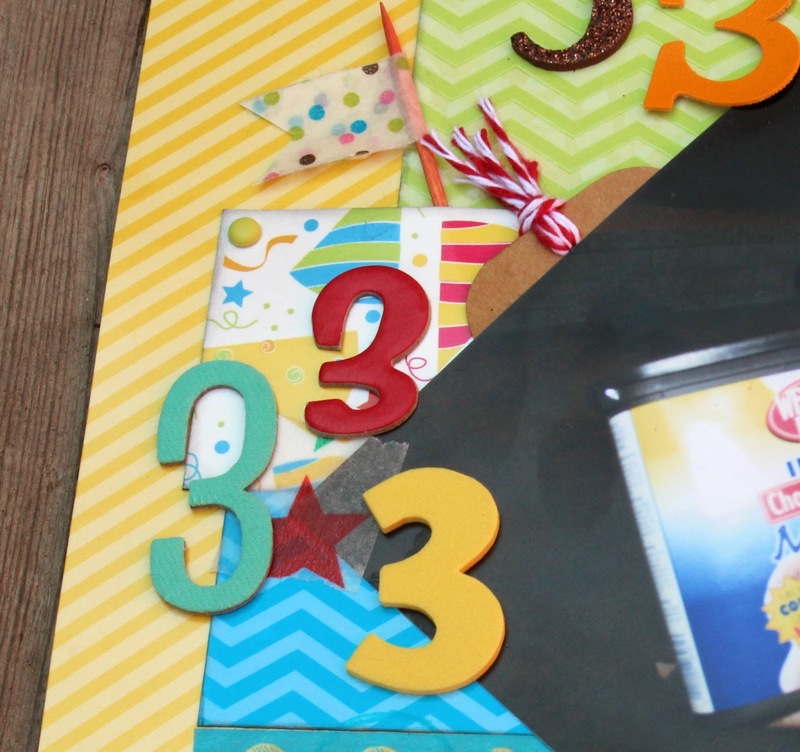 All of the product was so perfect for photos of children at play. I added some miscellaneous brads and buttons for a little added character and layout done! I hope you enjoy it! 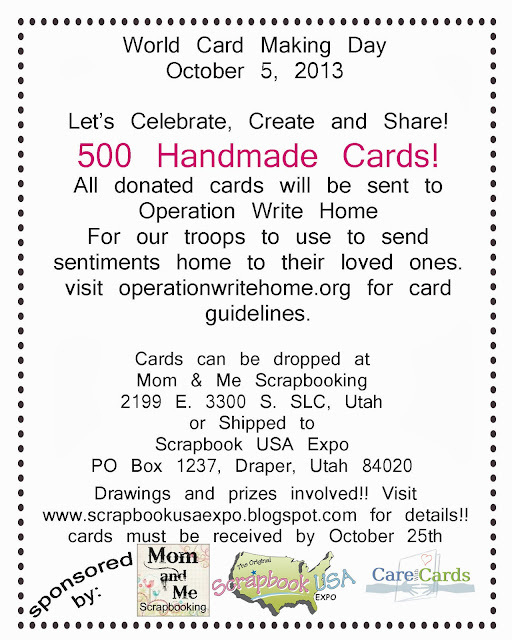 500 Cards is a BIG undertaking in one month but I know we can get there!! These cards will be sent to US Troops stationed throughout the world who will then be able to select a card at no charge and send it home to a spouse, parent, child, friend, etc. Make sure it is appropriate! 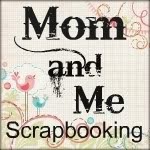 Drawings will occur each week in October for product and Scrapbook USA Tickets!! 2 tickets for our 2014 All Night Crop Party!! Of course if we can get to 1000 cards we will have to do another drawing!! The baby feet were cut from the New Arrival Cartridge with my Cricut machine from the coordinating cardstock that matched this line. I added a little ink to make it stand out. Love that "Happy" flair button! 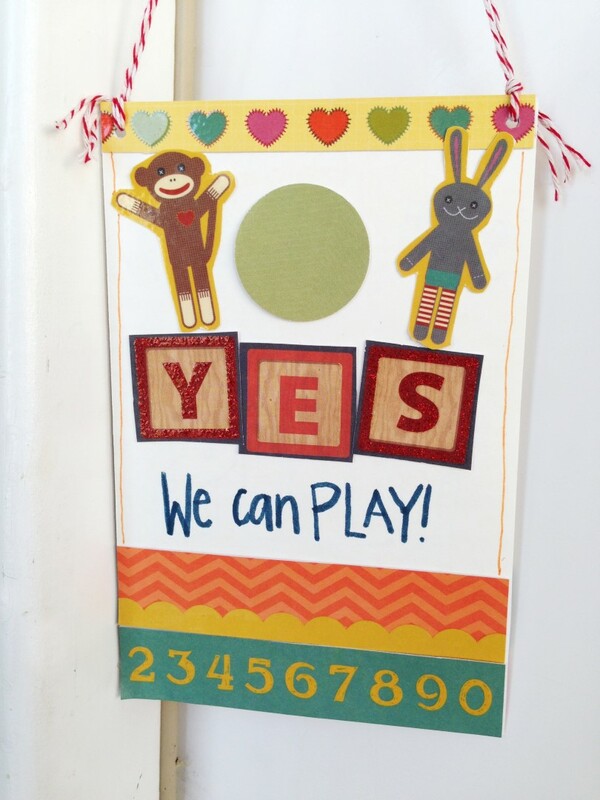 This line included a sheet of cut-apart border strips as well as some cute border stickers. I tried to utilize both! I used thickers for my title, I like to mix fonts and colors. I really wanted this one to stand out! Thanks for stopping by today, I hope you've enjoyed my project! Just like dinnertime, sometimes when you're crafting you need a recipe that is deceptively quick and easy. 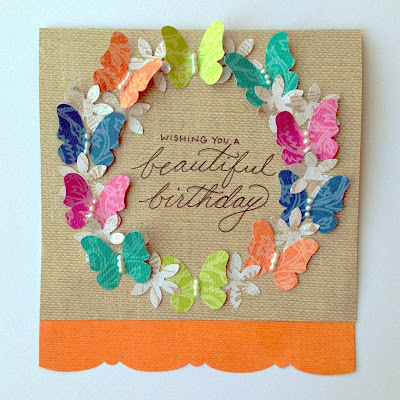 Using the lovely Summer Garden stack from DCWV, I made this birthday card for my Grandma in just a few minutes, and I was so happy with how it turned out! To create the card base, I just took one of the pages from the stack that had a plain burlap-type print on the back, and folded it to create a card. 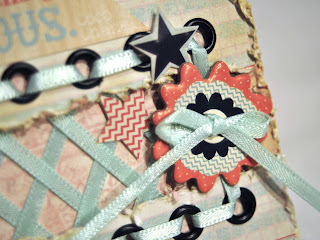 The decorative edge of the page made such a pretty edge to the card. Then I just punched a whole bunch of butterflies and flowers from the different brightly colored pages of the stack and arranged and adhered them in a circle. I wrote the sentiment myself, but you could also use a stamp if you're not a big fan of your handwriting. As a last step, I used liquid pearls to accent the butterfly bodies. I was in such a hurry with this card that I had to let it sit on the dashboard of my car on the way over to my grandma's house so the pearls would dry in the sun, but we made it! That rockin' banner? Yep, already ON the paper. I just cut around some of the banners and popped them out a little. And they were all cuted up with glitter! Love that!! The polaroid? Yep, already there. I just added my photo with pop dots to give it some fun dimension. I made the little party hat from a scrap of the green chevron paper by cutting a triangle with a bit of a rounded bottom. I just eyed it. Then I folded some twine until it was a thickness I liked, tied a piece around it and cut the loops for the pompom on top. I love inking, so I will do it anytime with any color! 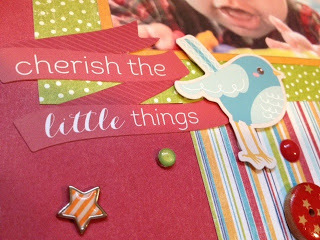 You can see my patterned paper layers here (LOVE this stack!) with inked edges, the flag made with a bit of washi and toothpick, and the hidden journaling tag popping out behind the photo. Fancy Pants "Park Bench" Collection - SO cute! 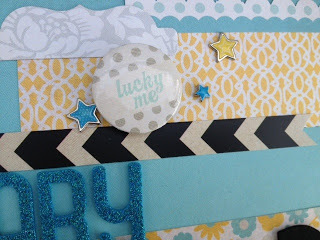 I created this fun layout with the eclectic Park Bench collection from Fancy Pants, one of the great sponsors of ScrapbookUSA Expo. 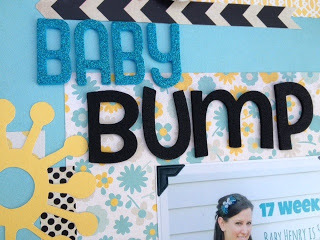 I love that this collection blends the beautiful and the funky together so well -- so much personality! It also feels grown up without being dreary -- there is plenty of energy here. I used the great papers and a bunch of the fantastic coordinating elements to create this layout about a fantastic weekend getaway my hubby and I took a few months ago to celebrate our 11th anniversary. I used the photo frames to create a title card and journaling card by backing the open spaces with some of the lighter papers. A few stitches of twine to secure the title card turned it into a cool pocket for the journaling card. 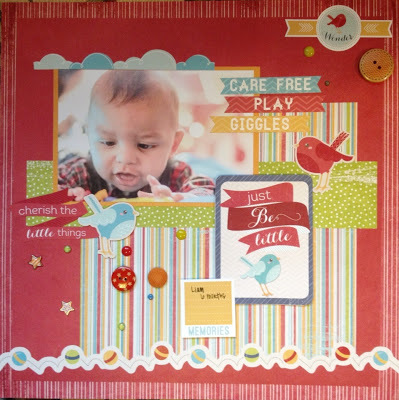 Layering chunky embellishments adds lots of texture and interest to the layout. I started out with this bold floral print from DCWV's "Solstice" stack, as pictured below. I loved the turquoise and coral-colored flowers, but needed more solid-colored space (as opposed to the pattern) to make my card idea work. Using an old gift card like a spatula, I scraped gesso across the page, leaving some of my favorite flowers peeking through. The great thing about DCWV paper is that it's sturdy enough to handle this process. While the gesso was still wet, I patted on some torn vintage pages and rubbed the gesso over the edges of it with my fingers. Next I used a foam brush and added streaks of three different shades of acrylic paint. I used the same brush for all three colors (without washing it in between) so that they mixed on my brush to create new colors. I waited for the page to dry, then I stamped some polka dots on the background with a rubber stamp and dark brown and teal ink. After that, my new background page was ready to go! I cut it in pieces to use for cards, and there you have it! See it peeking out from my card's layers? I attached the whole thing to a striped background (Fancy Pants), and added a Bingo card-type of sentiment on top (Teresa Collins). The paper framing the Bingo card is from Simple Stories. 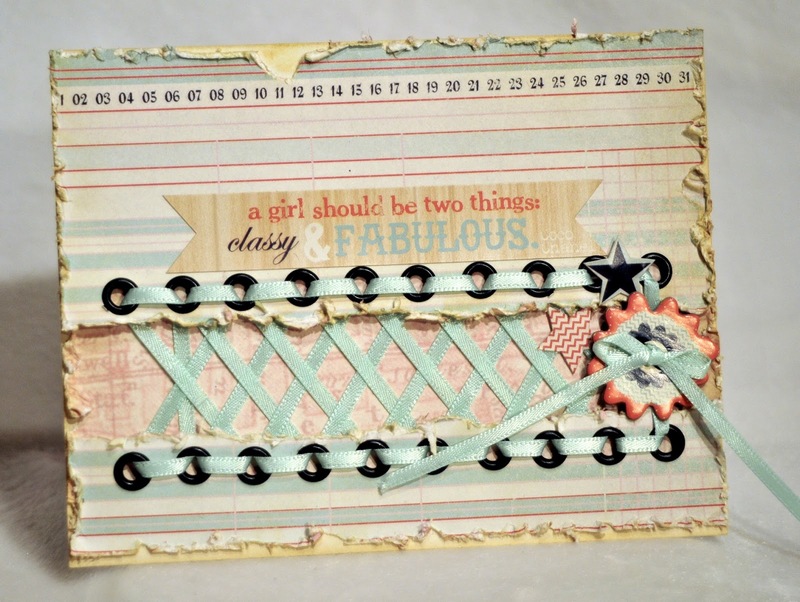 I also added a strip of fabric and a fabulous key-shaped clip from Prima. 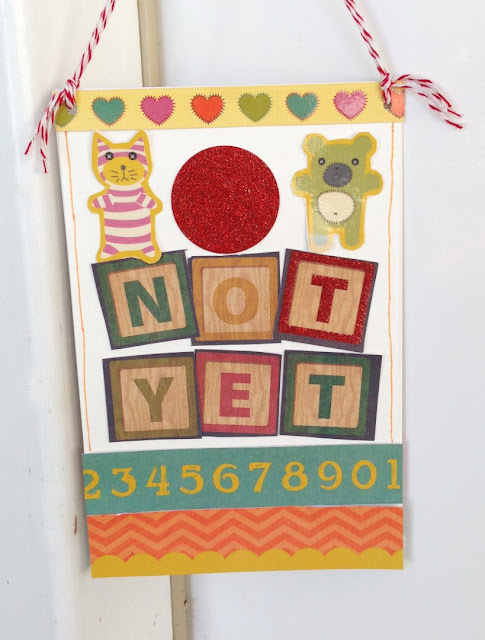 There is some scalloped lace at the bottom and I stamped the sentiment, "make them matter" using a set of alphabet stamps by Studio G.
Altering patterned paper is a great way to re-purpose and make full use of your current stash. Plus it feels like a pretty nifty accomplishment to make your "own" unique patterned paper! 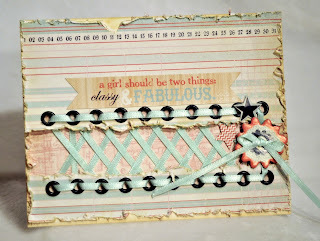 I adore the ruler-edge bottom and the birdcage, postal stamp and flowers you can see in the background. The girl stamp I used is from Julie Nutting's line through Prima. I made the dress out of fabric scraps and added some Washi tape to the background for even more visual interest. I also used chalks to color in the girl's skin and hair and rosy cheeks. Lastly, I finished off the card with this great sentiment stamp from Unity Stamp Company ("She remained true to herself"). I love that saying because it reminds me to live up to whatever I hold most dear and to not waste energy trying to be someone else. In addition to the fun patterned paper, this stack also has a lot of flags and frames that you can cut out for all sorts of projects. 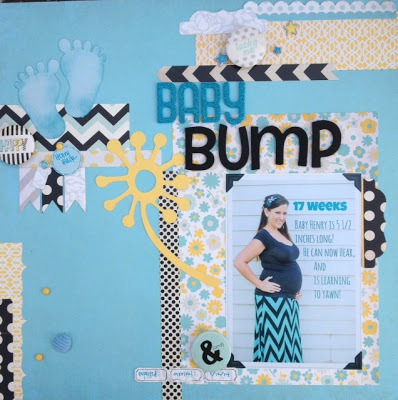 The possibilities are endless and if there's one "must-have" paper pad from DCWV, The Primrose stack is it! This time of year, my family has a TON of birthdays. And, as I am sure you all understand all too well, were there is a ton of birthdays, there is also a need for a TON of birthday cards! DCWV has the funnest birthday stack called "Birthday Wishes" that is full of bright colors, sparkle, and pure kid joy! 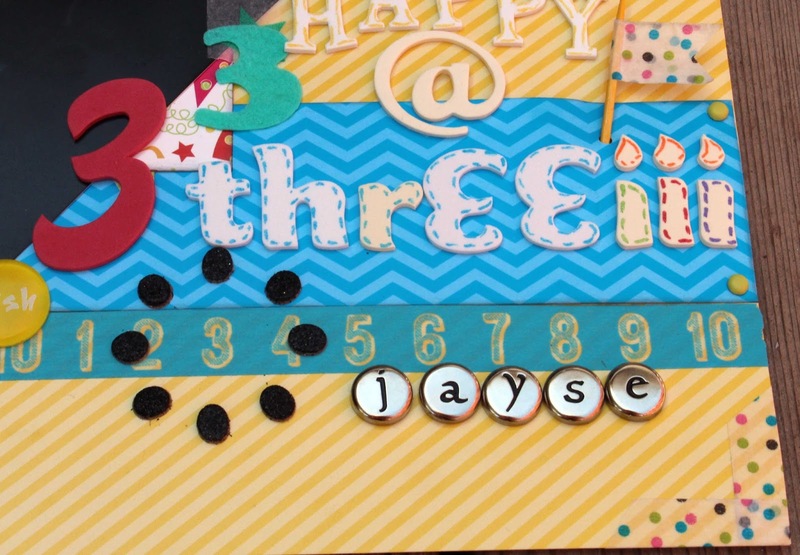 The card stock was so fun, that I hardly had to do anything! I decide I wanted to try my hand at a spinner card, so I chose a label on my Silhouette Studio, and made a rounded rectangular slot. I then sandwiched a foam pop dot circle between 2 pennies and placed it in the track. 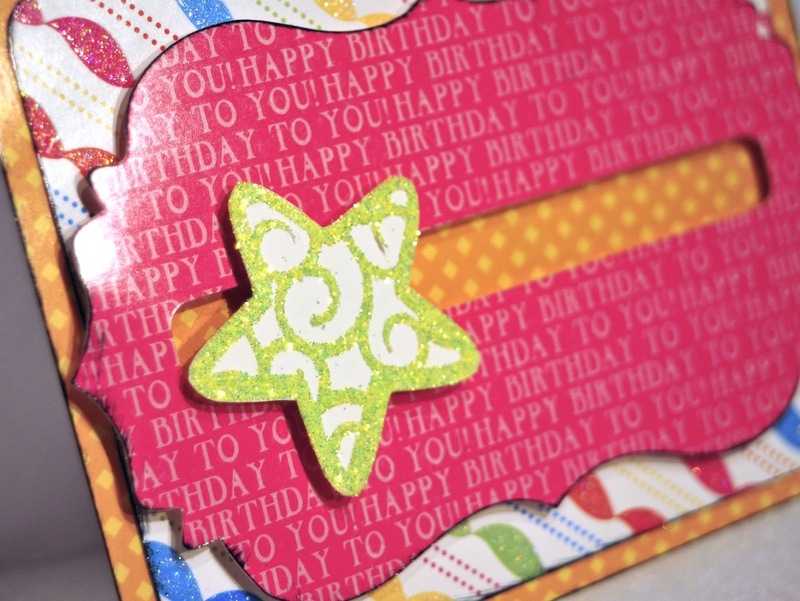 I cut out a star out of card stock, then the swirls out of double-sided adhesive. I then sprinkled glitter over it. I glued it over the penny.... When you tip the card gently to the side, the star spins across the card! It makes me smile- of course, I'm easily entertained. LOL! I think my niece will enjoy it though! Have you seen Fancy Pants' Trend Setter line? I love the patterns... there is a great mix of chevrons, stripes, stars, dots, maps.. and the colors are gorgeous! I used some ribbon to lace together "Style Sheet" (top paper), leaving a nice gap between the two pieces to show the criss crosses as well as the "Fashion" (pink map paper) that is behind the ribbon. A nice little embellishment cluster under the bow and a sentiment sticker finish it off... It has a lot of texture and detail, yet it was actually really quick and easy to put together. 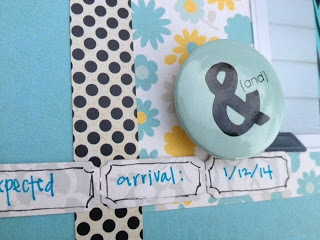 I love the coordinating embellies for the line... it makes things SO easy! The chipboard flower is from the Button set. I pulled off the foam pop dot so I could thread the ribbon through the button hole to secure it to my card. The stars come from the Sticker Fundamentals sheet. And last, but definitely not least, the quote is from the Label Stickers. I think the quote "a girl should be two things: classy and FABULOUS. coco chanel" is absolutely awesome! The perfect pick-me-up. 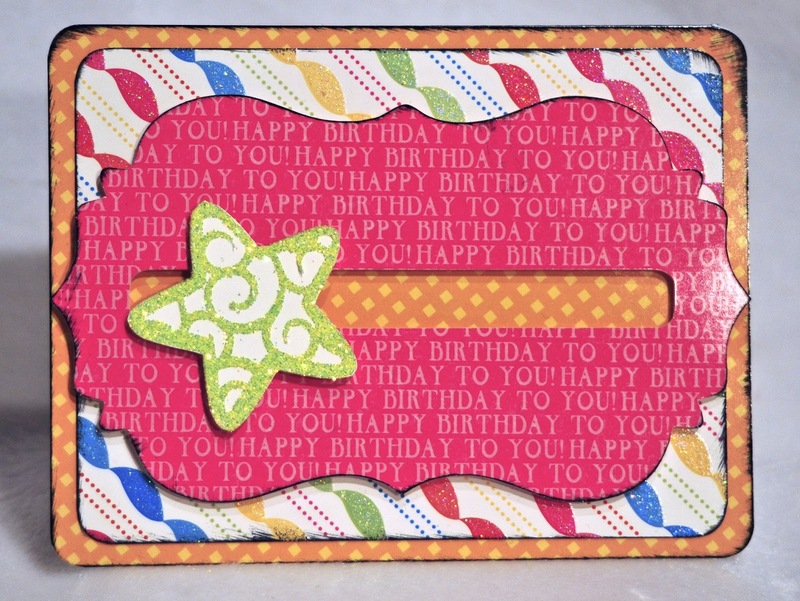 Embellishments: Fancy Pants "Trend Setter Label Stickers", "Trend Setter Sticker Fundamentals", "Trend Setter Button Set"
Summertime isn't quite over, still a few more reasons to celebrate! And of course with celebrations, you need favors! These SWEET little boxes were made using DCWV Summer Garden Stack! 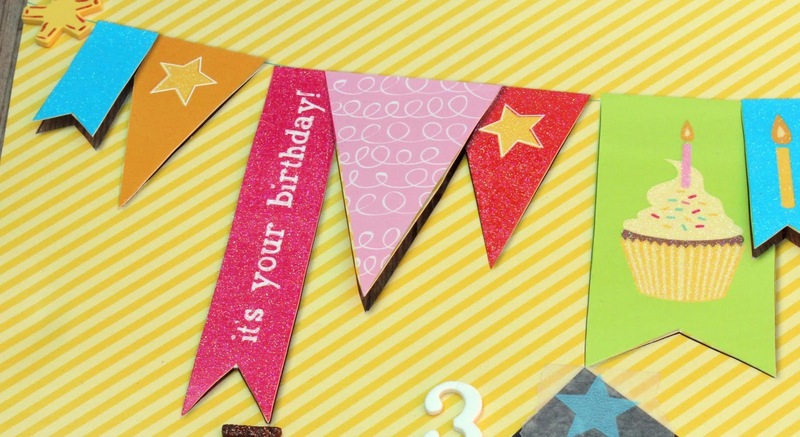 The bright designs are perfect for any summer celebration! I found a free template for the box HERE. A little tweaking in Silhouette Designer Studio (ok, quite a bit of time there since I just got my Silhouette, and I am still trying to figure out my way around the program LOL! ), a few folds, some glue and ribbon.... DONE! They were super fast to make and are super adorable! 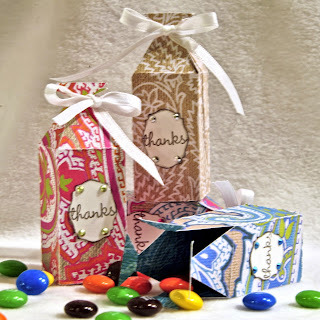 They will make great favors & decor! 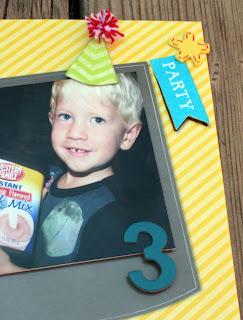 I can't wait for the party to get started! 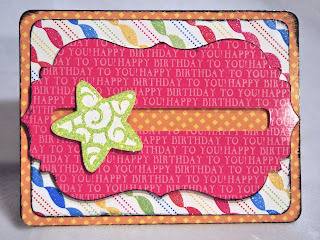 Stamps: Close to my Heart "Pair-a-Phrase"
Dies: SVGStore "Mini Goodie Box", Spellbinders "Labels 18"